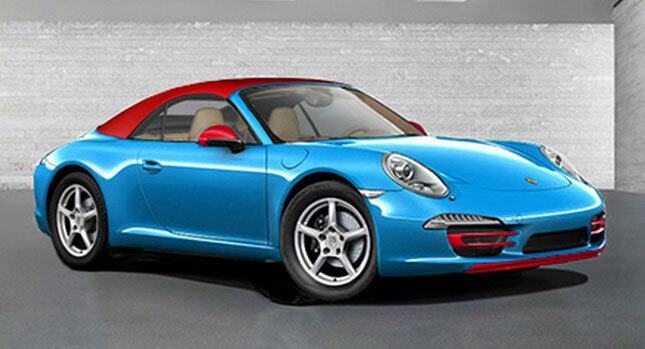 If you, like us, cringed at the view of a light blue Porsche 911 Cabriolet with a red soft top and body accents, the good news is that we do not know for sure whether they are real or if they have been doctored through Photoshop. 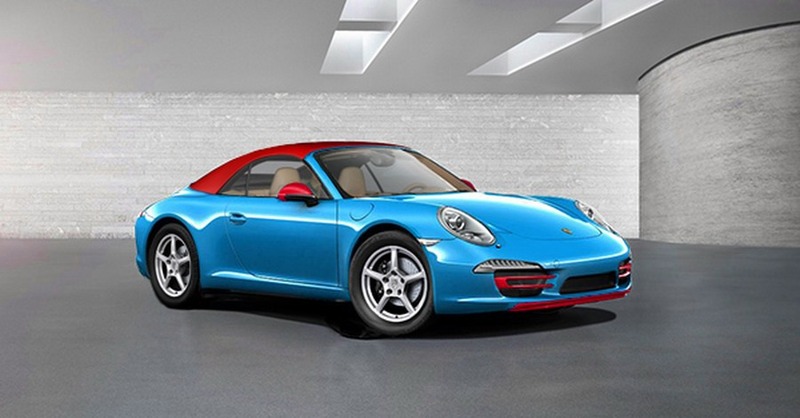 What these images are purportedly showing us is a new limited production version of the 991-series Porsche 911 Convertible dubbed “Blu Edition”. The news comes from the Porsche-dedicated forum 911UK, which states that the car was created to celebrate the nameplate’s 50th anniversary and will be displayed for the first time at the Frankfurt Motor Show in September. 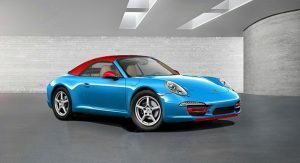 The report goes on to say that the unlike the vintage-trimmed 911 Carrera S Coupe 50th Anniversary that’s more expensive than the base model, the 911 Blu Edition will not only be cheaper than the regular 911 Carrera Cabriolet, but also from the current entry-level 911 Carrera Coupe – but with a price in performance. 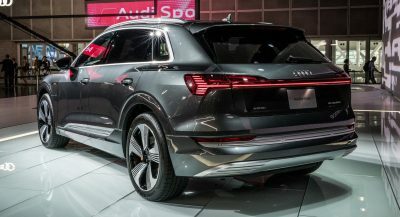 The article states: “In a move set to put the cat among the pigeons, the launch special is expected to undercut the current 3.4 Coupe PDK by 9,500 euros at an estimated 74,600 euros (£64,750).” We’ll have to assume that said price concerns the UK market where the 911 Carrera Coupe starts from £73,413 (€83,864) and not Germany where it begins from €90,417. 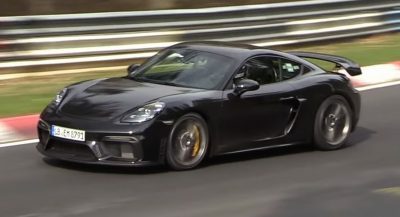 The penalty for the lower entry price is said to come in the form of a de-tuned version of the 911 Carrera’s 3.4-liter flat-six producing the same peak torque at 287 lb-ft (and not Nm as stated in the piece) or 390Nm, but 50 less horses at 350PS (345hp). With this engine and a standard dual-clutch PDK transmission, the 911 Blu Edition is said to complete the 0-100km/h (62mph) in 5.4 seconds and top out at 266km/h (165mph), or 0.6 seconds and 18 km/h slower respectively than the 991 Carrera Cabriolet. 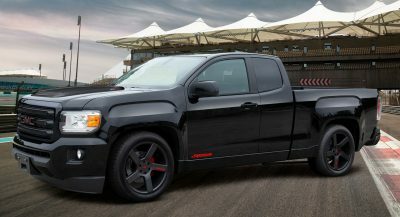 The car is quoted to return a combined fuel consumption of 6.4 l/100 km (44.1 mpg Uk / 36.7mpg US), with CO2 emissions of 152 g/km. Other notable features of the exclusively rear-wheel drive model include the adoption of stop-start and a new smart charging system, new 18-inch wheels with almost comically tall sidewalls (at least in these pictures) shod in low-rolling resistance tires, a standard composite hardtop weight just 22 kg (48.5 pounds), and instead of an electronic soft top, a removable, single-piece composite fabric roof. It is reported that total weight savings over the regular Carrera Cabriolet total to around 63kg or 139 pounds. The entry-level 911 Blu Edition will reportedly be produced in a limited number of units, 300 of which are earmarked for North America. We’re also told that buyers will be chosen through a lottery system for members of officially approved Porsche Club. 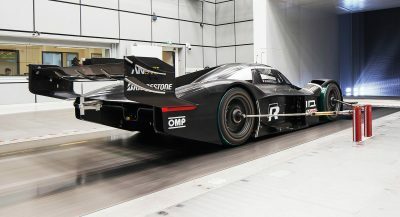 You may want to keep in mind that, at this time, none of the above has been confirmed from Porsche. We’ll be sure to post an updated once we learn more. Shout out to Toni O. for the heads up!